The study, which has just been published in Science, was led by Kosmas Tsakmakidis, first at the University of Ottawa and then at EPFL's Bionanophotonic Systems Laboratory run by Hatice Altug, where the researcher is now doing post-doctoral research. Until now, this concept had never been challenged. Physicists and engineers had always built resonant systems—like those to produce lasers, make electronic circuits and conduct medical diagnoses—with this constraint in mind. "It was a moment of revelation when we discovered that these new structures did not feature any time-bandwidth restriction at all. These systems are unlike what we have all been accustomed to for decades, and possibly hundreds of years", says Tsakmakidis, the study's lead author. "Their superior wave-storage capacity performance could really be an enabler for a range of exciting applications in diverse contemporary and more traditional fields of research." Hatice Altug adds. With this new technique, it should be possible to improve the process and store large bandwidths of data for prolonged times. Other potential applications include on-chip spectroscopy, broadband light harvesting and energy storage, and broadband optical camouflaging ("invisibility cloaking"). "The reported breakthrough is completely fundamental—we're giving researchers a new tool. And the number of applications is limited only by one's imagination," sums up Tsakmakidis. Could such 'catch' a soliton ?? "the length of time a wave could be stored was inversely proportional to its bandwidth." Waves don't have "bandwidth". I stopped reading at that blabber. Actually, though it doesn't make sense to talk about ideal sine waves having bandwidth, real waves are actually combinations of different frequencies. If these frequencies are close together, then it makes sense to talk about the bandwidth of a wave. In resonant systems, the ratio of the energy in a waveform to the energy lost in each cycle of the resonator is called the Q factor; this is sometimes interpreted as the "quality" of the resonator. In other words, in a high Q circuit in electronics, little energy is lost at each cycle; but the bandwidth of the frequencies at which the circuit operates is more and more restricted the higher the Q. What these guys have done is shown that it's possible to make a circuit with a high Q factor, that is, low loss, but with a much wider bandwidth than is normally possible, using an asymmetric resonator. It's worthy of note, however, that one of the reasons for making high Q circuits is precisely to restrict bandwidth; in radios, for example, it is desirable to discriminate among signals at different frequencies, and this is done using high Q filters. The narrower the bandwidth of the filter, the less nearby waves can distort or interfere with the desired signal. And this of course also applies in applications like microwave wave guides, and optical communications, particularly when it is desirable to use extremely narrow channels in order to maximize the number of channels in a given frequency range. We'll have to see how this plays out and the article is currently embargoed, so we can't see these asymmetric resonant circuits. "The number of potential applications is close to infinite..."
So many questions here. Let's start with: Is the number of potential applications an integer? 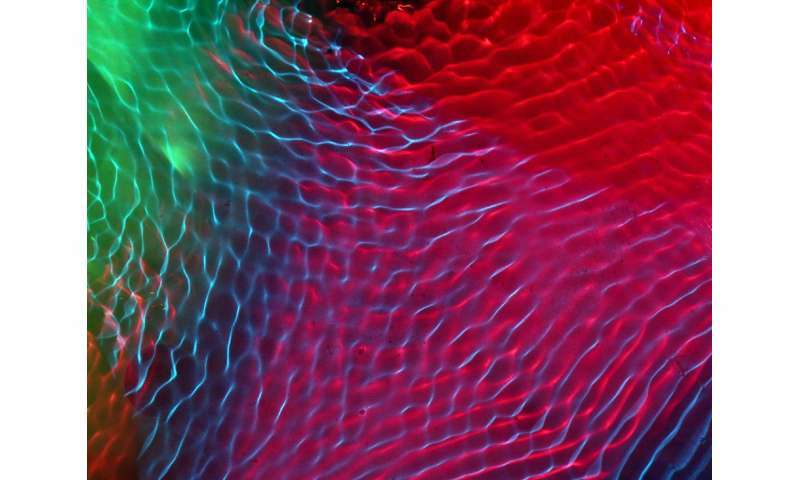 All waves in the physical universe are wave packets with some bandwidth associated with them. The bandwidth may be very narrow, even "homogenous" in which it is limited by the uncertainty principle but it is still finite. If you don't understand what bandwidth is and how it affects wave mechanics, there are plenty of articles and books about it on the internet that can illuminate the topic for all knowledge levels. The article is not freely accessible, but one can find similar works by searching for: arxiv "Breaking Lorentz reciprocity"
I wonder if this can be done for quantum systems and what it would mean in that case. No reciprocity would mean a non-hermitian operator is involved; e.g. measurements are non-hermitian. @Gigel, asymmetric oscillators are not well explored either mathematically or experimentally. Virtually every experiment and every hypothesis probes unknown territory, and not least because we thought we knew everything because of Lorentz reciprocity in symmetric oscillators. So far this is not a quantum effect; it is a classical effect discovered by Lorentz (as evidenced by its name). This will be an interesting field to watch as it develops. From such niches are important theories derived after proper research. But this one needs a lot more, and I find the claims in the article rather grandiose, as it appears you do. The K. S. Johnson's law is a result from the linear time-invariant theory, and under certain constraints there exists reciprocity. Obviously the system the authors proposed is not a time-invariant system, and thus does not necessarily obey the K. S. Johnson's law. Besides, their system dose not "overcome the time-bandwidth limit", which clearly states that the duration and the bandwidth of a pulse (or a wave packet) response cannot be small at the same time, i.e., ∆t∆f>~1, not that the bandwidth cannot be large for a long-lasting response. Maybe my understanding is wrong, but this article does not make much sense.